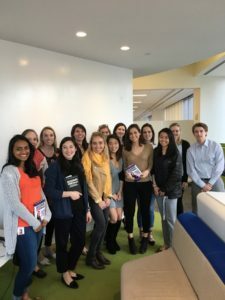 Establishing a corporate book club within your organization is an ideal way to encourage and support professional development within your company. Do you have a group of women that work to advance each other in the workplace? Do you have mentors looking for professional tools to help their mentees? Do you host open discussions to increase engagement, appreciation or enhance your culture? Book clubs and career discussions are terrific ways to encourage and engage your employees! Many professional women aspire to advance their career. Yet many encounter a sea of obstacles because they don’t have “the playbook” to navigate corporate cultures and organizational landscapes. With more than 20 years’ experience in the tech industry, JJ DiGeronimo is no stranger to navigating the twists and turns of moving from entry-level positions to leadership. She’s learned firsthand that securing that next position, a board seat or even starting a new initiative often requires women to enhance their relevance, establish new sponsors and expand their network. 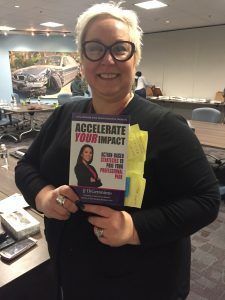 In Accelerate Your Impact: Action-based Strategies to Pave Your Professional Path, JJ offers a series of proven initiatives that high impact men and women leverage to accelerate their professional paths. You’ll learn Strategies for maneuvering the professional landscape to foster future opportunities. Skills to minimize or even avoid common career pitfalls. Approaches to identify and tap into your career sponsors. Techniques to select & participate on boards. 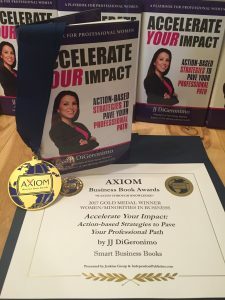 Through personal anecdotes, examples, and stories from those who have stumbled, fallen and succeeded, JJ shares this playbook for professional women with specific actions to maximizes their talents and make their professional goals a reality. Now an award-winning business book for women in business! This new playbook for career women has already received 50 Awesome Reviews of Amazon. Call us today to discuss a virtual or in-person session with JJ DiGeronimo, 2-time award-winning and professional woman in tech!